The duo at the core of this Persian fusion outfit has an impressive history. Vocalist and hammered dulcimer player Azam Ali was the lead singer of Vas, a world music band from Los Angels, while multi-instrumentalist Loga Ramin Torkian was one of the principals of Axiom of Choice, a pioneering electro-meets-Middle Eastern dance group. 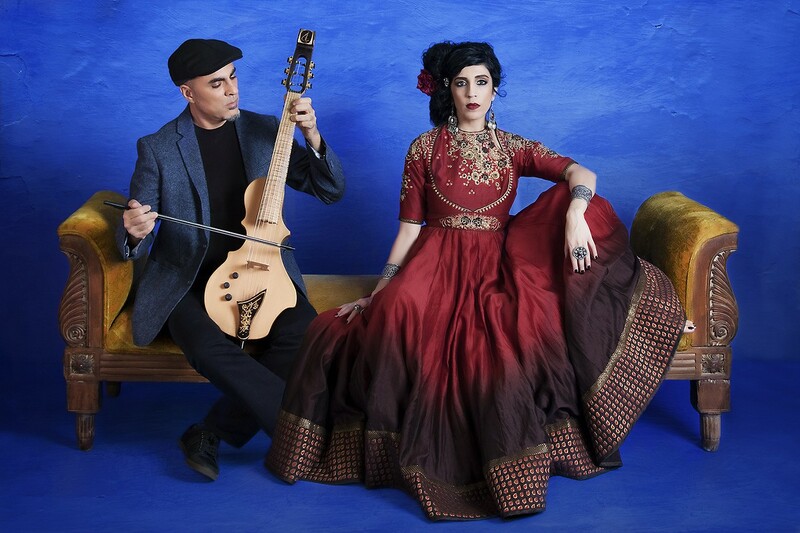 Niyaz still uses the sounds generated by Torkian’s synthesizers, samplers, and electric guitars, but they’re blended with acoustic elements, producing music with a complex, multi-layered sound drawing on the rhythms of Iran, Pakistan, India, Western Europe, Turkey, and other Middle Eastern nations. Most of the lyrics stem from the poetry of Sufi mystics, including Rumi and Rabia Al Basri, a female poet who explored personal and spiritual liberation. Ali’s commanding vocals give these words a timeless, vibrant power, with Torkian’s intricate work on oud and kamaan (two string instruments) providing the mystic backbone.